Looking back at Tamura Meimi as an Idol and Performer has been fun, and over the course of this past week watching videos, listening to songs and taking a chance at her e-Hello, May., I have gained a new found appreciation for this adorable girl and the energy she has. I already liked her before this week happened, however now that we are coming to a close, I know for certain that I will miss her and her enormous voice, because gosh darnit, this girl could sing, and she was an incredible Idol, to boot! That said, I can't say I will cry when she leaves, because even if I like Meimi and enjoy all she has had to offer ANGERME and S/mileage these past four or so years, she was never truly my favourite member. That doesn't mean I won't be sad to see her go, because I certainly will, however there won't be any tears. That's the truth, people. As a good chunk of you may know, Tamura Meimi was not my favourite S/mileage member for a long time. She freaked me out, her forehead a beacon of NOPE for me. Heck, it wasn't until about a year or so ago that I truly started to enjoy her, (back when she got her bangs and hair cut) but honestly, I always appreciated and applauded her efforts. She was bubbly and bright, and she stood out. 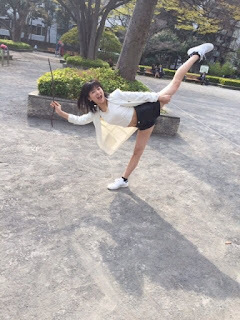 She was essentially everything S/mileage stood for at the time she joined, and she was a ball of energy who you could see wanted to be there. Meimi of S/mileage was a treat, and she was the one everyone noticed. And when she sang, everyone was blown away, because her voice was so much more than we expected. Not only was this kid hyper and cute, she was also an amazing singer. Heck, she quickly became one of S/mileage's best by the time Yuuka graduated, so it was no wonder she was quickly handed lines left and right. This girl had a lot of power in her, and every time she belted a line you could feel it. Her passion and love for the craft was even evident in her tone, and she never failed to deliver. I do think that Meimi was everything an Idol could possibly hope to be; a cute girl, a crazy amount of energy and a good voice. She could also act, too, and she had the personality to charm people. Meimi basically had everything, making her one of the best members to grace the Hello! Project Halls. She was, in my opinion, a perfect Idol, and what made her even more perfect was that she gave her all in everything she did, in all she tried. Throughout it all, this kid did it with a smile so bright, and you couldn't help but fall in love with her. I do honestly like this girl, and I'm going to miss her so much. I'll miss her voice and smile, I'll miss the energy she exudes in all she does. There is a lot I will miss about her, and I know a lot you will miss her, too. She's a little star, and whilst we know she's graduating to move on and pursue what she loves most, we can't deny that she will leave a hole in many hearts. No one could ever replace this girl, not in voice, spirit or energy. I'm just happy to know that Hello! Project didn't waste her talent by letting her shrivel up in the back, because we all know they can and will do that. 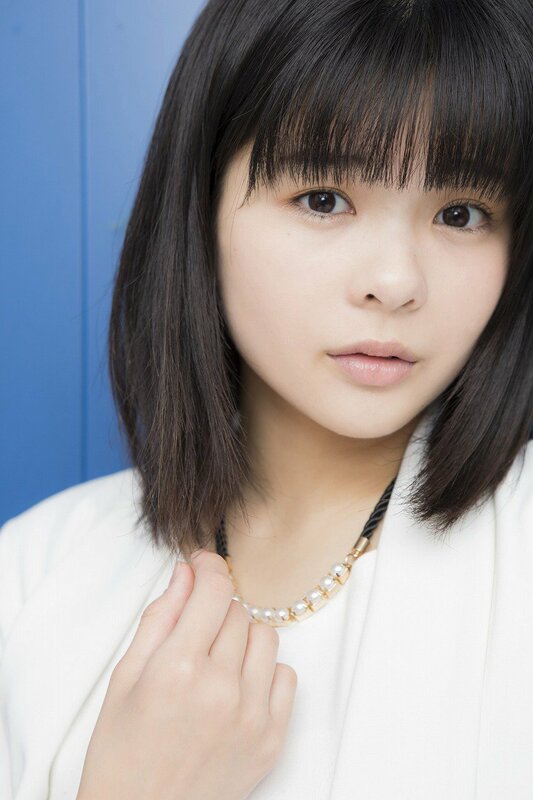 To know her time in H!P was met with some decent lines, a few front positions and more does make me feel happy, because I would be fuming if someone as talented and precious as Meimi was kept to the back for as long as other girls were. 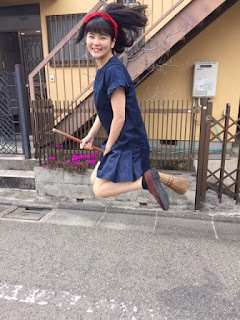 Tamura Meimi is honestly incredible. She's the sort of girl who can make you smile just by seeing her smile, and she can make your world a brighter place. She really is going to be missed by so many people, and I hope she knows that. I do sincerely hope that she realises just how adored she is as an Idol and a person. I am so glad that it was S/mileage and ANGERME she chose to pursue when she did, because if she hadn't, we wouldn't have been graced with such a wonderful person like Tamura Meimi. I'm glad she gave us all such joy and that she shared her smile with the world. She's made a lot of people happy, and she's shown us that, in a world where Idols don't have to be talented to be adored, there is some talent left that can shine as brightly as the rest. I'm glad that, despite not being her fan initially, she grew on me, and that she proved to be more than I could ever realise. It's nice to know that Meimi is moving towards her next dream and pursuing what she loves most. She should do it, and I know she's only 17, but honestly, this is a girl who knows what she wants. 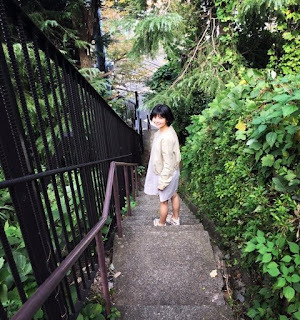 She was only 12 years old when she decided that she wanted to try out for S/mileage, and she was even younger when she decided to pursue a career as an actress on the big stage. Now she wants to continue that career and make it her world. She is beyond being an Idol at this point, and why not? She's been an Idol, she's experienced that world. Now is the time to go out into the world and find her own feet. 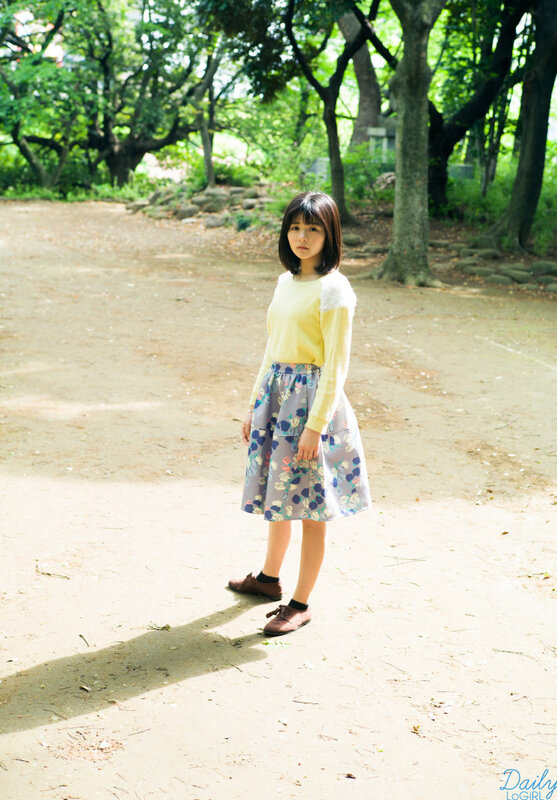 She's gained experience, she's performed in stage plays and musicals, been a front girl in one of H!P's better groups and seasoned herself as an actress, performer, personality and Idol. She's done a lot in four or so years, and now she's ready to take the next step in her life. I can't really fault her that. I will miss Meimi, but I think what I will miss the most is the talent and energy she brought to H!P. She's such a wonderful girl, and I can see why so many loved and adored her. Sadly for us all, it's her time to go, but I'm certain she will do some great things in her future and make a name for herself as an actress. But we will always remember her as the amazing Idol that she is, and was. On her final tour day she will sing us a song in her strongest voice and show us exactly what she's made of, and everyone who watches will be in absolute awe at the brilliance that is Tamura Meimi. Hopefully we shall see and hear her again in the near future as an actress, but for now, we will treasure her as a part of ANGERME and love every last minute we have with her until she takes her final flight. Thank you for all the joy you have brought us, Littlest Vampire, and thank you for being ANGERME's voice. In these past four years, you have given us so much. Now it's time for you to bring joy to a new audience, and allow your smile to radiate elsewhere. Our Littlest Vampire, Sotsugyou Omedetou! Never stop smiling, never give up dreaming!